Public bench / garden / contemporary / stainless steel - LUXE 1133 - DIMCAR s.r.l. 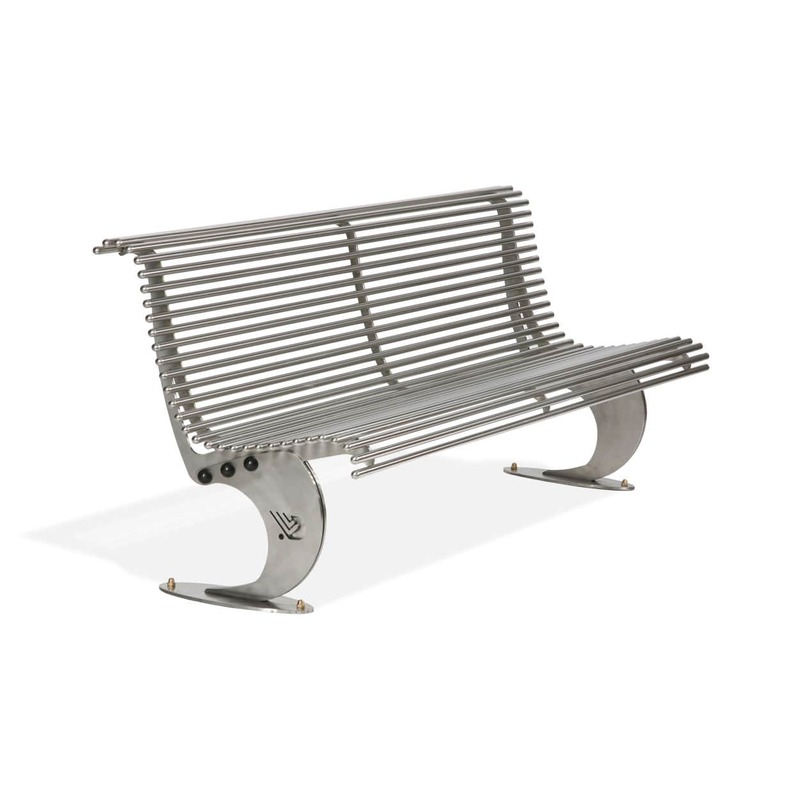 Urban design bench in stainless steel, Luxe model. Supports consisting of a double cutout made of stainless steel made from cutting by laser technology, both supports are arcuate and characterized by the presence of decorations and decorative embroidery on the outer contour. Each support is provided with a base plate in stainless steel sheet with holes for fixing to the ground by means of pull-outs and expansion joints. The seat and the back are made of thirty-two profiles in polished stainless steel round tubes, welded on special shapes that give the bench a comfortable and ergonomic seat, the profiles also complete with stainless steel end caps. All comes in assembly kits including stainless steel screws and mounting instructions. 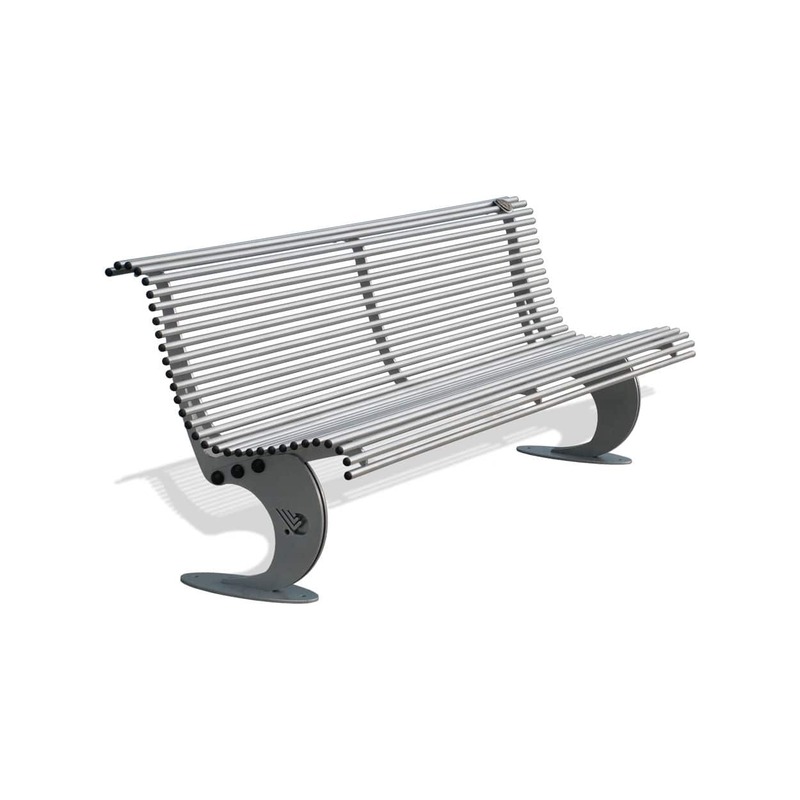 The Luxe stainless steel bench is available in lengths of 150 and 200 cm. The raw material used for the construction of the Luxe cod.1133 bench is stainless steel AISI 304.